JMD Ross specialise in corporate travel, personal accident, health and employee benefits. Whether you are a small, medium or large business, an office, or a tradesman JMD Ross can tailor a package to suit you and your business.  JMD Ross can arrange public liability insurance and products liability insurance covering your business against legal costs and compensation payments. Professional indemnity insurance covers legal costs and expenses incurred in your defence, as well as any costs that may be awarded, if you are alleged to have provided inadequate advice, services or designs that cause your client to lose money. JMD Ross can provide insurance protection for conventional and specialised cargo, commercial hulls & more. Commercial vehicle insurance covers vehicles used for business purposes such as couriers, transport and haulage, logistics, fleet vehicles and other general business companies. JMD Ross can cover the range of risks and assets associated with construction and engineering projects, known as Contract Works Insurance. Workers compensation insurance provides financial protection against liability for workplace injuries. Trade credit insurance is a specialty insurance product which covers the non-payment of trade debts which arise from insolvency and protracted default, both here in our local region and overseas. JMD Ross can advise and arrange cover for your cyber risks.